Way2Go Adventures is a family owned and run business. It was started by mother and son team Dianne (Di) Worrall and Wayne Morgan in 2010 in the Forest of Dean. At Way2Go Adventures we love the great outdoors. We are lucky enough to live and work in one of the most beautiful parts of the world, we believe – the Forest of Dean and Wye Valley. Our motto is ‘Get Up, Get Out, Get Active’ and we are all about enjoying the freedom that being in nature allows; the peace, the beauty, the calm as well as the adrenaline! 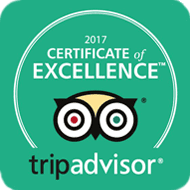 We have won a Certificate of Excellence from TripAdvisor every year since 2014 and are really proud of our excellent record for customer service. Wayne’s love of the outdoors started as a young boy when he joined the Sea Cadets and went on weekend trips with them. He especially enjoyed watersports and started his career training and teaching watersports to people of all ages and abilities. As well as being a qualified instructor in canoeing and kayaking, Wayne is also a qualified instructor in Stand Up Paddleboarding, powerboating, keelboat sailing and dingy sailing. Wayne has worked for three of the largest outdoor adventure companies in the UK and has a great deal of experience and skill in climbing, archery, hill walking, map reading, rope work and challenge courses. In 2007, Wayne paddled around the Isle of Wight in just two days in his sea kayak. 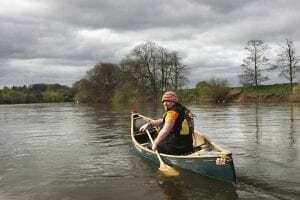 His future goals include paddling in the Devizes-Westminster International Canoe Race and walking the whole circumference of Wales. Di is a mother of 4, and will normally be your first point of contact at Way2Go Adventures, as she deals with all the emails, phone calls, bookings and payments. Di especially enjoys being on or in the water, including canoeing, kayaking and SUP (the more gentle waters). In her younger days she spent most of her spare time at the local swimming pool in Congleton, Cheshire. Before moving to the Forest of Dean she lived in Pembrokeshire and ran pubs and worked in accountancy. More recently, Di decided to take up yoga and is enjoying a transformation in her life and wellbeing because of it. She qualified as a yoga teacher in 2017 and runs yoga classes and SUP Yoga in the area. 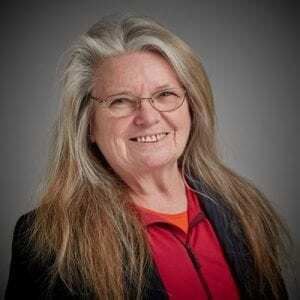 She is also a Nordic Walking instructor and SUPfit (Stand Up Paddleboard fitness) instructor.